To do a sunny day like today justice, we just had to visit a beach café. 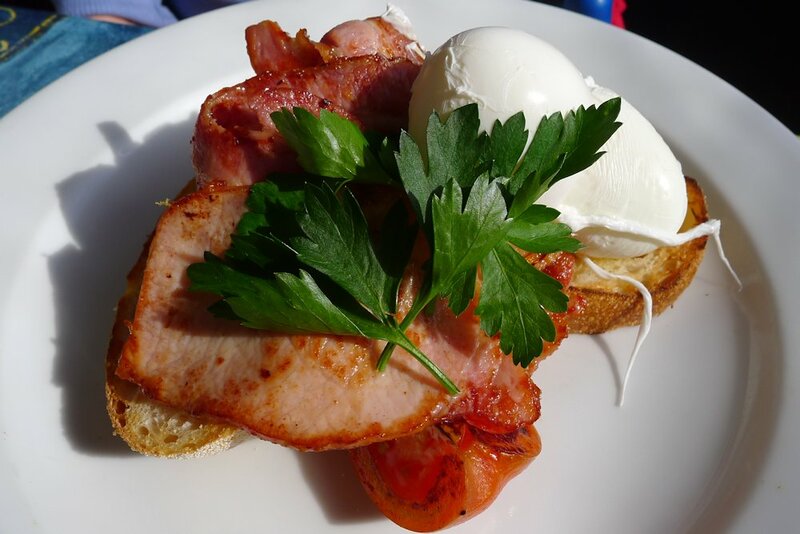 We’ve been to Warriewood before to review the SLSC Beach Café. I had spotted Sunrise Café as we were leaving and added it to our list. You can’t help but be delighted by the location. The sand and waves are a stone’s throw away. 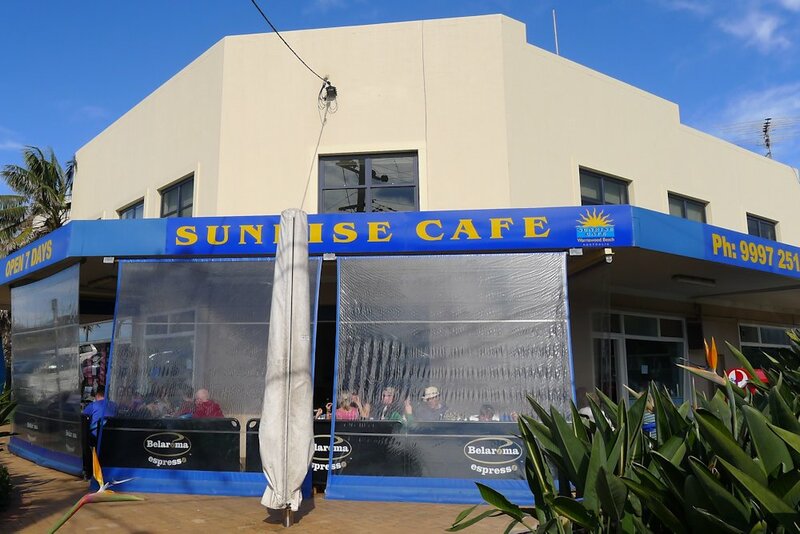 Most of the seating at Sunrise Café is outside and you can just make out the sound of the sea. The interior is quite sparse and no-fuss but outside in the sun is where you want to be anyway. The blackboard menu is relatively small but contains many of the staple Sydney breakfast café requirements. Burgers ($7.50-$11.50) and club sandwiches ($12.90) would be popular for lunch. The wraps and bagels being made behind the counter and sitting in the display cabinet looked absolutely mouthwatering. A good view and good coffee! 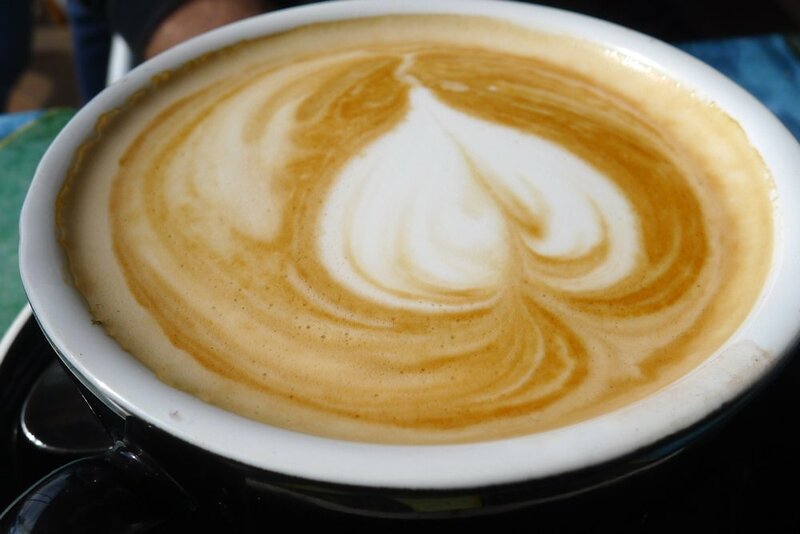 Our flat whites and cappuccinos (regular $3.50, large $4) were as tasty as any we’ve tried recently. Very quick too so we took the opportunity to get some for takeaway as well! Three flavours of smoothie ($6.50) are available: banana, berry or mango. 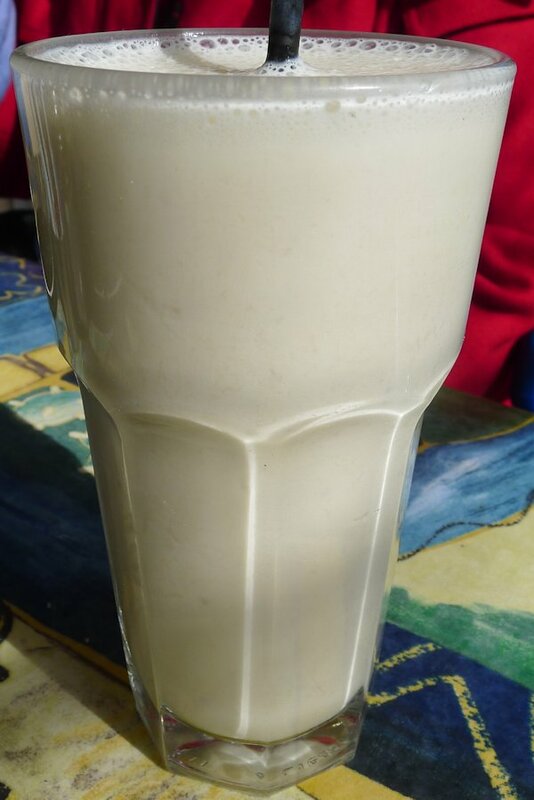 Our banana version was thick, ice cold and creamy. There was also lots of banana whipped through it so the flavour was spot on. As well as a fridge of bottled drinks, milkshakes ($5), thickshakes ($6.20) and an acai smoothie ($7.90) round off the cold beverages. 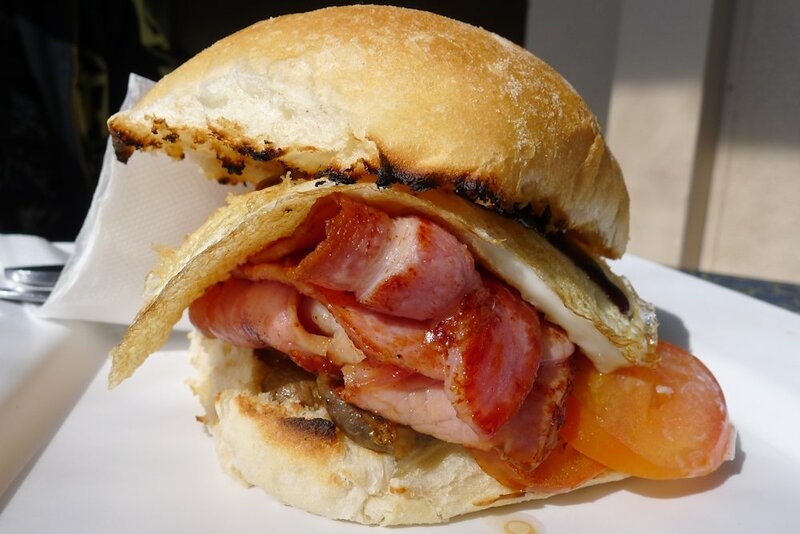 The brekky roll ($8.50) seemed to take ‘bacon overload’ to a whole new level! A soft, toasted roll with fried mushrooms, a flipped egg, tomato and BBQ sauce. It tasted great but lacked flair or something unique. The mushrooms didn’t add much to the flavour (perhaps some more butter and some garlic) and even though it’s certainly not an unusual ingredient, we all questioned whether tomato belongs in the classic bacon and egg roll. That said though, very enjoyable. As this plate hit the table I fell in love! 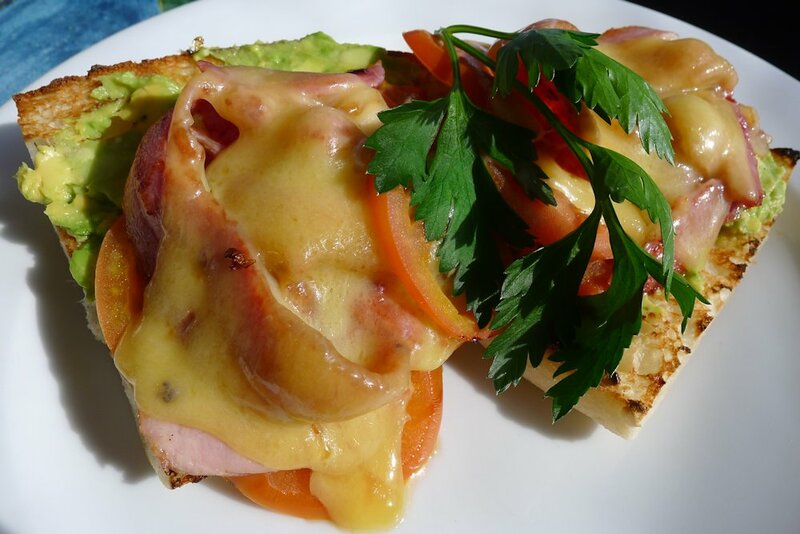 You simply can’t beat bacon, avocado and an overload of cheese! The brekky melt ($12.50) sure is simple but absolutely scrumptious. The grilled tomato added some juicyness too. This dish was the envy of the table! I have never seen such a perfectly rounded and smooth poached egg! The eggs on toast ($8.50) can have bacon and tomato added like we did for a total of $10.90. Like the other dishes, an absolute steal. On enquiring we were told that the eggs are placed in some kind of tool which is then placed into the boiling pot. We should have requested a look but forgot. Our perfectly cooked eggs had a golden, runny centre and the stack of bacon ranged from cooked to crisp (that’s a good thing). 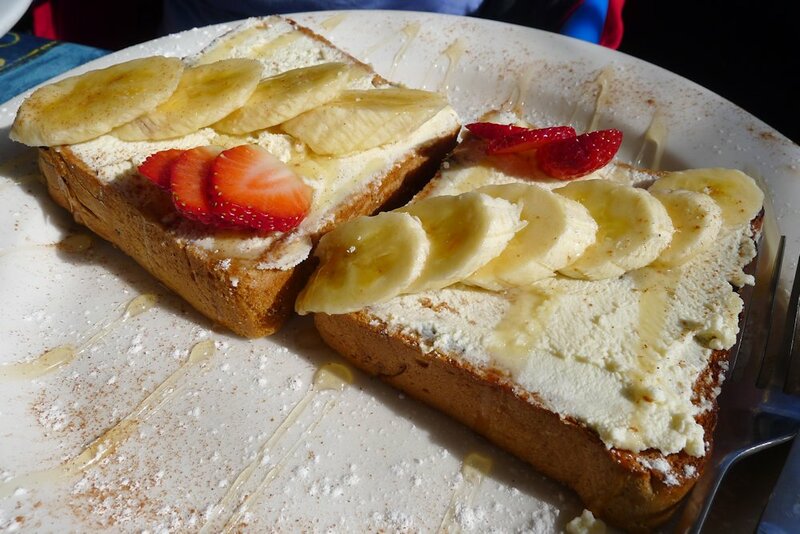 Other breakfast dishes include the big breakfast ($16.50), French toast ($12.50), Italian scrambled ($14.90), eggs Benedict with bacon or salmon ($15.50) and buttermilk pancakes with berries, ice cream & maple syrup ($10.90). In fact those dishes combined with what we tried encompasses the entire breakfast menu. As I said, small but well represented. 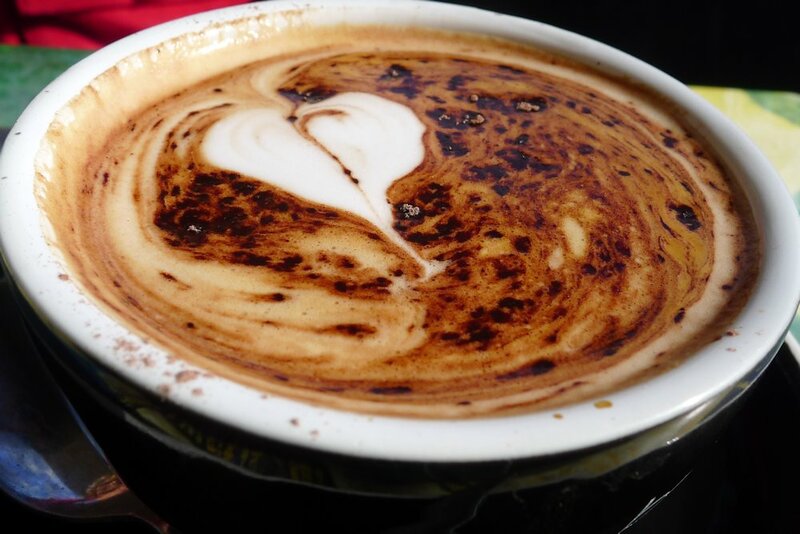 If you’re heading to one of the northern beaches, we definitely recommend stopping by. It has only been a few hours and I already want another one of those melts! This entry was posted in Sydney - North Shore and tagged Disabled access, Dog friendly, Outdoor seating, Parking close by, Reasonable prices, Water views. Bookmark the permalink.